“The Tools” are what you have in your personal arsenal to tackle life head-on. 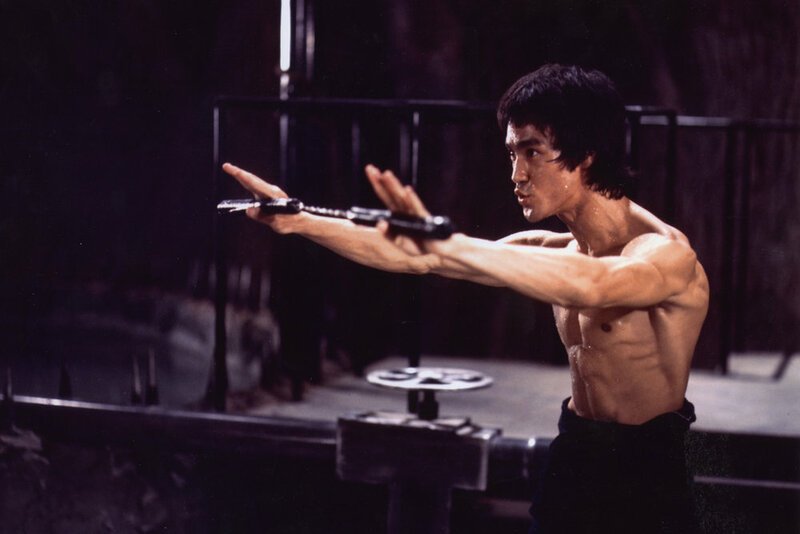 Bruce Lee repeatedly wrote about different Tools he used in life. We have talked about these tools separately on the podcast, but what is it to have these tools in your arsenal and to use them? “Your tools have a dual-purpose, to destroy whatever is in front of you that stands in the way of peace, justice, and humanity, and to destroy your own impulse of self-preservation, to destroy anything bothering your mind, to overcome your own greed, anger, and folly.” We have the obstacles in our life that are outside of ourselves and then we have the obstacles within our own mind. Bruce has a warrior-like mentality to destroy these barriers in life to achieve peace. Willpower was a tool that was extremely important to Bruce Lee as he considered himself a self-willed man. He had the power to direct his energy toward the things that he wanted. Bruce Lee wanted to destroy these obstacles not to force through his own path, but to achieve greater harmony and connectedness with the world around him. He is asking us to replace our greed and anger with peace and humanity. You cultivate these tools so that when the situation arises and you need them, you can use these tools in a masterful way with calmness, with presence, and put them into service to handle the situation without aggression. Simplicity is an important tool because it can be easy to overcomplicate and overthink a situation or a solution. You have to “Hack away the unessentials.” You want to know exactly what you need and to go directly to a solution. Our instinct to overthink or overcomplicate situations is fear-based. We fear that something will go wrong and it can create a negative thought spiral taking us out of the reality of the situation. Listen to people expressing themselves. If they are expressing themselves simply, it is easier to understand and connect through communication. Use your intuition to test how good your tools are and if they are moving you forward. Sometimes when we are in a negative state of being, such as anger, we can forget about using our other tools. Try to give your tools a definite shape, imagine a toolbox filled with your tools that you can visualize to help bring your out of a negative state and utilize your tools instead. Shannon has also been experimenting with her tools of Simplicity and Intuition. Sometimes we will have an intuition about something and we sit and overthink it. Shannon has been practicing noticing her intuition and applying it as simply as she can. This action requires Willpower to move you to act on your intuition. We tend to think of tools as something outside of ourselves, but these tools we were born with and they are always inside of us. All spiritual growth is a remembering of the love, joy, and intuition inside of us, the remembering of our true essence. “Make the tools see. All movements come out of the mind, keep it straight without ego-centered motivation. Keep the mind sincere and genuine and straightforward; allow nothing between itself and its movements.” You have these tools that are innate to you and have their own energy, keep yourself genuine and straightforward and do not block these tools. There is limitless ability of these tools within our own person. Bruce Lee emphasizes the idea that there is work and training to be done, there is awareness and utilization of the tools, but there is also the letting go of the tools. You do the work and then you just “be.” You let these tools come forth as needed and you continue to move down your path. We would love to hear about the Tools you are working with in your internal toolbox! Write to us at hello@brucelee.com or tag us @brucelee on social media with #bruceleepodcast.